[ltr]"The two brotherly peoples of Iran and Iraq have strong ties and no power in the world can make a gap between them," Rowhani said when he arrived at Mehrabad airport in Tehran Wednesday evening. "The visit included talks and understanding on a number of issues and trade matters, such as reducing or eliminating tariffs on certain goods, establishing joint industrial cities and energy and facilitating the granting of commercial visas," he said. "The role of activists and traders is gaining importance for both sides. Iraq has returned as the main export terminal of Iran in the world and the two countries have strong ties," Rowhani said. "The two countries have held talks on banking, the adoption of the two national currencies in many exchanges and facilitation of banking relations. The two countries have reached good understandings on security and regional issues, and their views are convergent on many important issues," he said. He noted that he "touched the vitality of the Iraqi people during this visit thanks to the strong ties between the two peoples and no power in the world can make a hurdle and foment the conflict between the Iranian and Iraqi people." "In this visit, he stressed the need to develop bilateral relations in the future into trilateral and quadripartite parties and discuss them with other countries which can play a role in these relations," he said. The abolition of the dollar from Iranian economic exchanges with the region and the world, one of the most important results of Iran's new trade strategy. "What is happening in economic and trade relations with Iraq and other neighbors, such as Turkey and Afghanistan, is an evolution of Iran's commercial goals," he said. "I have been talking about the agreements that were signed between Tehran and Baghdad. "He said. "Restrictions on Iranian and Iraqi financial exchanges because of US sanctions against Iran have complicated the banking relations between the two countries, but by understanding the restrictions and conditions in Iraq, using a special payment mechanism, we have continued to work properly, About the current huge exports. " According to the President of the Central Bank, "this new strategy, has foiled the policy of US sanctions in practice." "In addition to the trade agreements, the agreement to activate the border agreement and good neighborliness between Iraq and Iran dated June 13, 1975 in Algeria and the removal of remnants of the Shatt al-Arab (Arround Road) is one of the most important results of the Iranian president's visit to Iraq," Hamati said. The head of the holy shrines of the Hajj and the Iranian visit, Murtada Akanani, announced on Friday that the cost of entry visa to Iraq will be canceled for Iranian visitors starting April 9. In a statement to Fars News Agency, Nassan said today (March 15, 2019) "the cancellation of the cost of visas between Iran and Iraq after the agreement reached during the visit of the Iranian president to Baghdad." As for the start of the agreement, Akanani said, "Due to the planning, visas for Iraqi visitors are scheduled to start free of charge starting April 9, so we will certainly see a drop in the cost of travel to the holy sites." BAGHDAD (Reuters) - Iraq's oil minister announced on Sunday that Iraq had offered to export Iranian gas through its territory. "Iraq offered a proposal to export Iranian gas through its territory to other countries," he said. The Iranian minister gave no further details on the proposal. 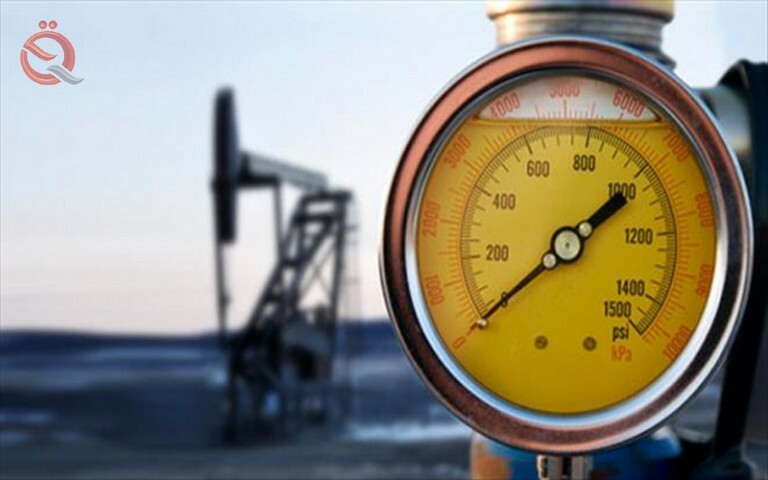 In February, the Ministry of Oil announced the export of 2000 tons of liquid gas a day after the Iraqi self-sufficiency of the material, while confirmed the export of 2000 cubic meters per day of gas condensates. The head of Iran's Hajj and Visit Organization Ali Reza Rashidiyan announced on Sunday the date for canceling the visa fees for Iraq. "It is hoped that the visa fees for Iraq will be canceled on April 5," the official IRNA news agency reported, quoting Rashidiyan. "The visas for travel between Iran and Iraq have not been canceled but visa fees have been canceled." "The visa fees for Iraq were two months ago 40 dollars and rose a month ago to 50 dollars," he said, adding that "it is hoped that we will see in the beginning of the second half of April 5 cancellation of visa fees." Iran has proposed to Iraq that visit visas be canceled, but the Iraqi side demanded that they stay. The two countries agreed to keep the visas, but they would be free of charge. Oil Minister Begin Zangana said on Sunday that Iran began exporting small quantities of gasoline, while the aim of following up the process seriously starting from the new Iranian year, which begins March 21, 2019. This came in a statement to Zenka on Saturday evening a press conference on the eve of the inauguration ceremony of the four stages of development in the South Pars gas field shared with Qatar, according to the agency "Fares". Iran's parliament speaker Ali Larijani on Sunday announced important decisions on the Algiers agreement during Iranian President Hassan Rowhani's recent visit to Iraq. "Important decisions have been taken on the Algiers agreement during a spiritual visit to Iraq," Larijani said in comments carried by al-Maaloumah. "Since Iraq overthrew Saddam, we have been alongside the Iraqi people, and when they have attacked Iraq, the Iraqi government has asked for help," he said. "We are always an important and democratic country in the region." TEHRAN (Reuters) - Iranian President Hassan Rowhani on Sunday described relations between Iraq and Iran as a model in the region, asserting Iran's willingness to establish best relations with its neighbors just as it does with Iraq. "Although the United States, the Zionists and some reactionary countries in the region are exerting pressure on the Iranian people with all their might, we will continue our path and develop our relations with our dear neighbors day by day," Fars news agency reported. "The relations between Iran and Iraq are exemplary relations in the region and we are ready to have relations with all neighbors as we do with Iraq," Rouhani said, noting that "during the same year, 7 million people from both countries visit each other country. Greatly facilitates visits. " He referred to his meetings with the great religious authority in Iraq, including Mr. Ali al-Sistani, who considered it a "boon to the Shiites in the world." He stressed that "the will of all the great references and elites in the two countries is to deepen the friendly relations between Iran and Iraq, after a day". "Our three-day visit to Iraq and the consensuses that have been achieved in this regard mean that relations are not limited to the two governments, but are relations between all segments, groups and political, social and religious figures," Rohani said. Iranian President Hassan Rowhani on Sunday described relations between Iraq and Iran as "very firmly established," stressing that no one can compromise them. "The relations between the neighboring countries, the Muslims and the two brothers, Iran and Iraq, are very well established and enjoy common principles so that others can not compromise them," Rouhani was quoted as saying by the Fars news agency during a meeting of the Supreme Economic Council. He stressed that "the rapid implementation of the consensual relations between the two countries, especially in the economic field," adding that "this visit was very positive and marked a turning point in relations between the two countries." 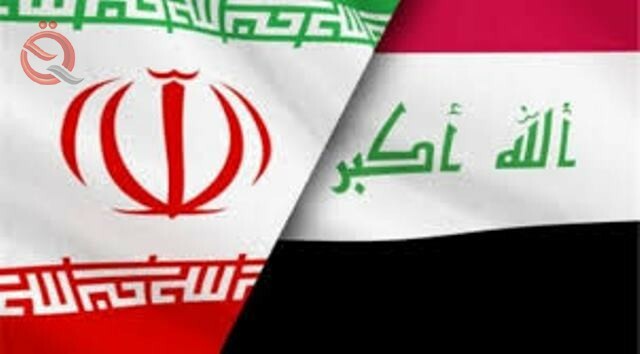 Iraq after the visit of Iranian President Hassan Rowhani will not be Iraq before it, despite the bad and the corruption and corruption, from 2003 until the day of the visit. The visit, accompanied by the resulting insults, excesses and threats, ended the state of occupation by means of the Iraqi nationalized and fraudulent and move the country to the case of explicit public annexation, and to stabilize the features of the next Iraq, the people and governments, parliaments and presidencies, and to draw its policies and external relations. Most importantly, it came to transform the statements of those who preceded them from the leaders of the Iranian regime, military and civilian, to a reality in which Iraq is the cow of the rule of the rule of the Fakih Halab, which was returned and returned to link after a long absence. The visit also came to inform all Iraqis, Arabs and foreigners who dream of preventing the return of the branch to the original, and the documents signed and ratified, that the Iraq you know for a long time has gone Khatifha. The visit of Hassan Rowhani, without a doubt, and the reading of the final communiqué issued by it, and the scrutiny of the agreements signed by the ministers of spirituality and ministers Adel Abdul Mahdi, has made the borders of Iraq with the old sister, Iran, lines drawn secret ink, and cabinets, despite the troubles and problems, lawmaker to our Iranian brothers , And without doors, and rivers for garbage, and Iranian pistachios poor Iraqis' breakfast and lunch and dinner, Vtqotu they silent. Perhaps the most dangerous thing that the visit did is that it extracted from the Green Zone government an amendment to the Iraqi Nationality Law granting the foreign visitor (the Iranian, not the Jordanian, the Saudi, the Turkish and the Kuwaiti) the right to Iraqi nationality if he proves that he has lived for one year in Iraq, Or the Iraqi Hezbollah and the Lebanese Hezbollah. In the new elections, the brethren will become the majority, and in the next parliament they will be the final junta. They may come from their servants and guards, the president, the prime minister, the ministers and the ambassadors. Which are approved in the new Iraq, and which are compulsory in primary, secondary and tertiary schools and by law. 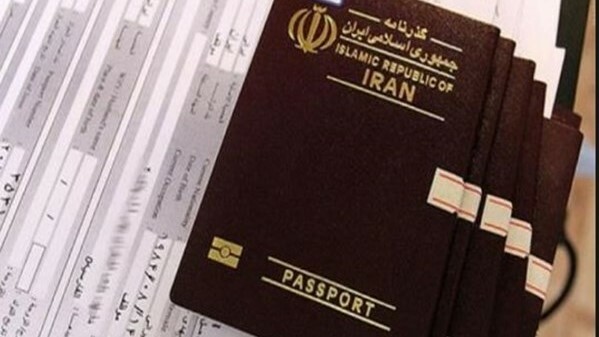 The expatriate Iraqis, like us, and the Arab and foreign tourists, will have to obtain a temporary visa from the Office of Iraq Affairs in the intelligence of the Islamic Republic of Iran in Tehran, and Allah is the beneficiary. What is the calamity that occurred on the heads of the Iraqis when God imposed upon them arrogant invaders coming from the caves of the Dark Ages to extinguish the light of modernity, civilization, freedom and peace in the modernity of civilization, civilization, freedom and peace? But history does not stop writing, reading and speaking. From the days of the Sumerians, the Acadians, the Babylonians and the Assyrians, until the last American invasion, the small soil of Iraq was crushed by more powerful and arrogant invaders than Iran's mullahs, and then burned by the armies of their armies who claimed to be invincible. Tomorrow, or the day after tomorrow, Faleh al-Fayadh, Husayn Dahqan, Ali Yunisi, Qasim Soleimani and Abohmedi will not find the engineer and their chief who taught them arrogance, vanity, lack of reason and corruption of conscience than their ancestors who invaded Iraq. The enemies of the Iranian Islamic Republic will never achieve their goals, "said Iranian President Hassan Rowani." The bitter enemies came with all their might to prevent the country from progressing and to deprive the rest, security and stability of the Iranian people. " "The Americans have withdrawn their obligations under the nuclear agreement for no reason, and they claim to impose the most severe sanctions on the Iranian people, and this is based on their belief that they can return to Iran if they continue to impose the embargo," he said at the end of the last meeting of the Iranian government. "The goal of America is not only a goal, they want to return to Tehran and control the people, and this is impossible, because the Iranian people and over the years of struggle since 1962, is still steadfast and stable, and that the enemy can not achieve these goals." He promised, "America did not succeed in its attempts during this period, failed to pass its goals. As it expected Iran's withdrawal from the nuclear agreement on the day following its withdrawal. It also expected that Europe would support it, so that it would not remain alone and not achieve any of its objectives, that is, we acted on our national interests. "Our accuracy and the calculations we have adopted have helped us to change all American plans for Iran's withdrawal from the nuclear agreement after its withdrawal from it, and then the return of the embargo against Iran by a UN Security Council resolution and the return of all UN sanctions." "The Americans later believed that they would satisfy Europe first and the rest of the world. This was not achieved. Europe rejected America's demands," he said, referring to the support of "all countries for Iran politically, rationally and legally, except for a few countries." "We have also managed to win many votes in both the International Court of Justice and the European courts, which means that we have been able to defeat the US in the field of law, and of course we will continue this approach," he said. He revealed that he instructed the Assistant to the President of the Republic for Legal Affairs and the Ministers of Justice and Foreign Affairs to "follow up the drafting of a legal case in a competent court against all those involved in America to impose and enforce the ban as a crime against humanity. If the court decides in favor of the case, Next ". Rohani called on the world to "know that what America has done is not against the Iranian government and against nuclear technology, but against the health, environment, natural life, food and medicine of the Iranian people." 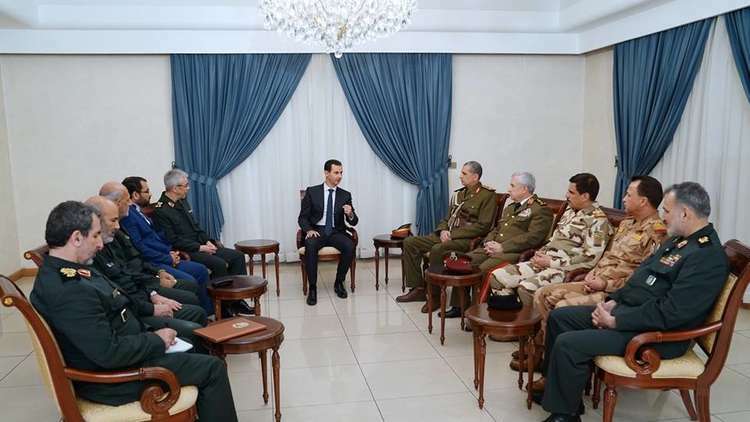 Syrian President Bashar al-Assad, during a meeting with a joint Iranian-Iraqi military delegation, stressed the strong relations between the three countries, pointing out that the blood of its armed forces "merged in the face of terrorism." The Syrian-Iranian relations were strengthened during the war, he said, stressing that the mercenaries of terrorism "consider the front of the countries behind them and support them," according to a statement issued by the Syrian presidency after the meeting. Assad pointed out that his meeting with the delegation "is a meeting of principles characterized by our people and proud of them, and expresses the unity of the battle and the trench and the enemy." The Iranian presidency said the Iranian delegation included Mohammed Baqari, chief of staff of the Iranian armed forces, Gen. Osman al-Ghanmi, chief of staff of the Iraqi army, and a number of military leaders from both countries. The Syrian news agency reported that during the meeting, the current developments in the field situation in Syria and means of enhancing coordination between the three countries were reviewed, thus positively reflecting on the operational aspect of combating terrorism on the ground. UAE businessman Khalaf al-Habtoor warned of continuous cooperation between Iraq and Iran, and the growing Iranian influence in Iraq, in a video he posted on Twitter on Monday. Habtoor said that the current cooperation between the two countries and the Iranian presence in this way are "frightening," adding that this situation represents a threat to the[url=https://www.thebaghdadpost.com/en/Story/t/18308/Gulf Cooperation Council] Gulf Cooperation Council [/url]and the Saudi borders. He urged the GCC to support Iraq and not to neglect it as in the case of Yemen. Habtoor called on Iraq's Sunni and Shiite citizens to cooperate, saying that they represent a significant force. He added that the Iraqi people lost their money and oil because of those who collaborated with Iran. The United States extended the period of exemption for Iraq from its sanctions against Iran. "The administration of President Donald Trump has extended the deadline to exempt Iraq from complying with US sanctions against Iran for another three months," a US State Department source told CNBC. On November 4, 2018, the United States began imposing sanctions on Iran, which is rich in oil under tough economic conditions. The United States has lifted sanctions on Iran after reaching an agreement on Iran's nuclear program in 2015. 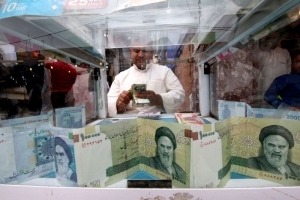 US sanctions include various economic, financial and industrial sectors, especially the oil sector, which is the main source of income for hard currency needed by Iran. Washington has said it seeks to make Iran's oil exports zero. The new US exemption comes a week after Iranian President Hassan Rowhani visited Iraq at the head of a high-level delegation with 22 agreements and a memorandum of understanding with Baghdad. Rohani said after the visit that "no one can affect the relationship between Iran and Iraq," a reference to America. The United States announced that Iraq would continue to be exempted from US sanctions on Iran and continued to buy Iranian electricity for another 90 days. The US exemption aims to help Iraq cover the electricity deficit, which means that Baghdad will continue to be exempted from US sanctions on the Iranian energy sector in particular. The first exemption granted by Washington to Iraq in December ended on Tuesday. 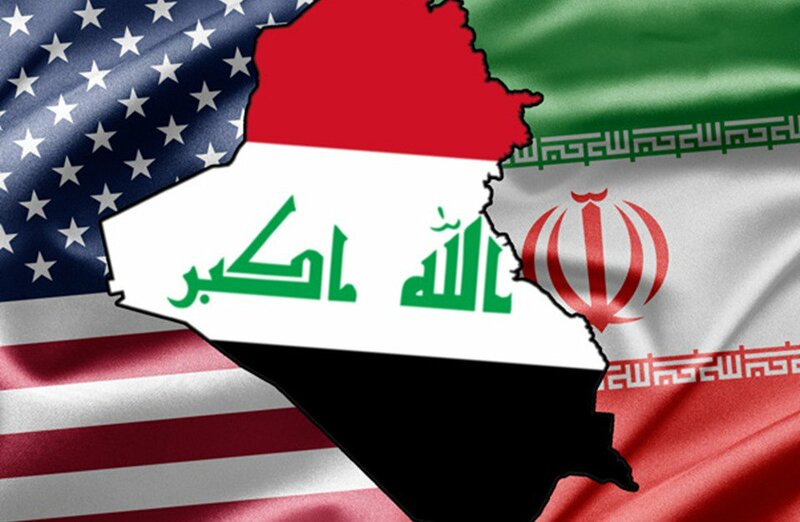 The extension of the US exemption to Iraq comes despite the US campaign against Iran, which is accused by the administration of US President Donald Trump to be behind most of the problems in the Middle East. "We continue to discuss the sanctions on Iran with our partners in Iraq," the State Department said in a statement. This comes at a time when Washington continues to cooperate with Baghdad to end its dependence on natural gas supplies and electricity from Iran and achieve energy independence. Expanding the exploitation of Iraq's natural gas resources and diversifying its energy sources will boost the Iraqi economy as well as encourage a "united, prosperous Iraq free from Iranian influence," the State Department said. The US decision came a week after Iranian President Hassan Rowhani visited Iraq for the first time since taking office in 2013. The political analyst, Adnan al-Sarraj, said Thursday that Iraq is the real beneficiary of the extension of exemption from US sanctions on Iran, noting that the Iraqi government does not want to be within the policy of axes. "Iraq in this period can not respond to US sanctions against Iran because its economic interests and contracts of energy, gas and trade will be all affected," Al-Sarraj said in a statement to the news agency. "America extended the sanctions for the third time in a row. Trade exchange with Iran ". Al-Sarraj added that "Iraq is working to cooperate with all the countries of the world and the region, including Iran and America, and does not want to be part of the axes policy. Today, it is going through a period of stability, trying to impose a balance in its relations with all without prejudice to each other." The United States on Wednesday extended Iraq three months of sanctions imposed on Iran over its nuclear program and its policies in the region. A US government source said on Thursday the reason for the US decision to extend Iraq's exemption from sanctions on Iran for 90 days. The source said that "the United States may have been forced to grant Iraq the new exemption, because it knows that Iraq is not easy to abide by sanctions, and that it needs energy, especially in the summer, the production of energy is insufficient to meet the local need,"
adding that "the United States Seeks by giving a new period to Iraq to abide by sanctions on Iran, to distance itself from the embarrassment that may be caused by the failure of Iraq's sanctions if it insists on preventing the import of energy from Iran, especially at the gates of summer. The source noted that "the United States cooperates in a positive spirit with the government of Abdul Mahdi, and believes that it plays a positive role in the stability of the region and the resolution of crises, and it maintains the position of Baghdad is very cooperative in the Syrian file, where the Iraqi forces are linked today to close cooperation relations with the Syrian Democratic forces Supported by the Americans. " He added that "Iraq has received significant concessions from Iran regarding the Shatt al-Arab, after the visit of Iranian President Hassan Rowhani, and linked to promises made by Iraq on its position on the sanctions, otherwise Iran did not respond to Iraq on the issue of Shatt al-Arab." And the extent of Iraq's ability to rely on electricity from Saudi Arabia and Kuwait instead of Iran, the source believes that "it requires more time and money to benefit from the Gulf energy, given the proximity of the summer, and problems related to the extension of power lines." Prime Minister Adel Abdul Mahdi, announced last Tuesday, that Saudi Arabia and Kuwait offered to supply Iraq with electricity free of charge. Tehran The United States has succeeded in putting pressure on the Iranian economy through the sanctions imposed on Tehran. The country has witnessed a suffocating economic crisis represented by the fall of the local currency, which remains at the top of the problems facing the country. Iran's supreme leader Ayatollah Ali Khamenei acknowledged on Thursday that the economic difficulties faced by Iranians were the country's most pressing fundamental problem. "The living problems of the citizens have increased, especially in recent months," he said in a televised message on Thursday marking the start of the new Iranian year. "The urgent priority and serious issue of the country is the issue of the economy," he said, citing the devaluation of the national currency and the purchasing power of citizens and the decline in production. Khamenei stressed that "the key to solving all these problems lies in the development of national production." In recent months, Iran has faced economic difficulties exacerbated by US President Donald Trump's decision last May to withdraw the United States from the nuclear deal signed between the superpowers and Iran. The re-imposition of US sanctions has severely affected Iran's economy. Iranian President Hassan Rowhani also spoke of US sanctions in his New Year message, which was broadcast on state television. "Some have asked how long these sanctions and problems will continue," Rowhani said. "These problems started with those who broke the covenants," he said, referring to US officials. "But the solution is in our hands to put an end to this." He urged all government sectors as well as the armed forces and all Iranians to put their differences aside to overcome economic problems. Washington says it wants to curtail Iranian influence in the Middle East after Tehran failed to curb its missile program or curb regional interference. The United States accuses Iran of defying a UN Security Council resolution to test a ballistic missile and launch two missiles since December. US State Department officials said Iran's missile program was a key factor contributing to increasing tensions and destabilizing the region and increasing the risk of a regional arms race. A UN resolution in 2015 called on Iran to abstain for eight years from developing ballistic missiles designed to carry nuclear weapons following an agreement with six world powers. Some countries say that the language of the resolution does not make it mandatory. In a letter to the 15-nation Security Council, US Ambassador to the United Nations Jonathan Cohen said Iran tested a medium-range ballistic missile on December 1, 2018 and tried to place two satellites in orbit, one on January 15 and the other on the fifth. From February. "Iran carried out these three launches in defiance of the will expressed by the UN Security Council, and such provocations continue to destabilize the entire Middle East," Cohen wrote in the letter. 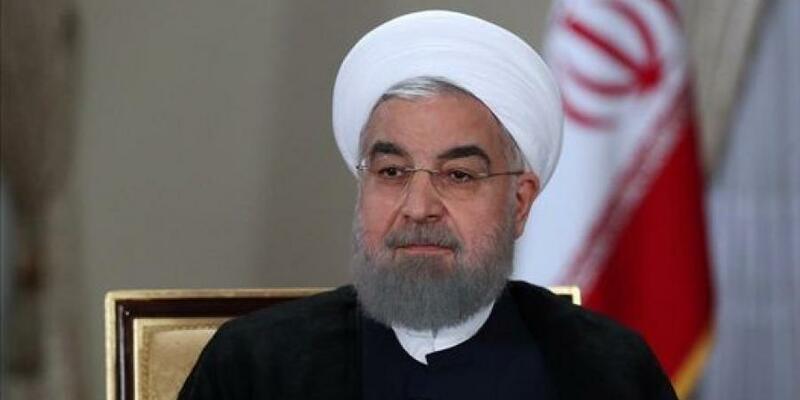 Iranian President Hassan Rowhani said relations with the United States rarely reached such a severe deterioration, adding that sanctions imposed by the Trump administration on his country and targeting the oil and banking sectors amounted to "a terrorist act." [ltr]"We do not want to interfere in the decisions of the Iraqi political currents. It is important to have a national consensus and to preserve the security of Iraq and the Iraqi government to be stronger," Larijani told Kuwait's Al-Furat satellite channel on Thursday night. "The more the coalition is used, the more useful it is. They know this better, and what is important is the result of a better and more successful Iraq." As for Iraq's call for a regional dialogue, Larijani said: "They are ways to define the objective if the goal is stable security in the region and solving problems. Surely it is a right thing to do. "We do not want to interfere in Iraq's decisions," he said. "The Iraqi government is independent and has its own interests, but we must pay attention to God's ability to be neighbors and the same religion and live together, but those who come from overseas have their goals. "They can not attack Iran and they have bases in the region before they establish military bases in Iraq. Can they attack Iran? We do not want to interfere in Iraq's affairs. We want to say that in the form of balances, everything must be taken into consideration." "Prince Bandar bin Sultan told me earlier that we sinned against Iran, that he helped the Taliban and the second that we helped Saddam with his war on Iran," he said. "We have no problem with Saudi Arabia and we regard it as an Islamic state and its people are Muslim. And the financing of 40 billion dollars. " "I want to say now that they are launching an aggression against Yemen. Is this true and we will not ratify this work, and they are pressing Hezbollah to be on the terrorism list while it is a pride for the Arabs," Larijani said. "We welcome the dialogue with Saudi Arabia if they are ready for that," he said. "In Yemen, we told them we are ready for a political solution, but when a state says it only wants a military solution, what can we say?" "Iran's strategy on regional issues is to resolve differences in dialogue and even in Bahrain, but some may not accept this and want to run things by force because the Americans need disputes in this region and for division and exhaustion of the Arabs and they say that Iran is the enemy and they sold your money to sell," he said. "He said, referring to the killing of Saudi journalist Jamal Khashoggi." They do not expect me to negotiate with them, "he said. He pointed to the American and Turkish presence in Syria. Larijani said that "our priorities from the beginning are that Syria has a stable government and that there are no external and military interventions. We have no other objective. Therefore, foreign interventions, especially Americans, can understand why they did so. The ability to fight terrorists and have a strong army and will not be appreciated by the Americans. " "We can not negotiate with them. President Trump, who does not respect his country's signature, how do we deal with him?" He said. "We had nuclear talks and raised the issue of 5 + 1, but the Americans were playing and the July 2006 war and they issued a statement in the Security Council. I told them that they are fighting and issuing the resolution against us. They contacted me a few days later and told me that the saboteurs had spoiled it. But the Americans also ruined it. " Larijani said: "We are determined by our interests and the road is not closed to us." He said he had spoken with his country's minister of foreign affairs, Mohammed Jawad Zarif, about his resignation. The best was resolved. " The US Treasury Department on Friday imposed new sanctions on Iran over its missile programs, involving 14 individuals and 17 entities. 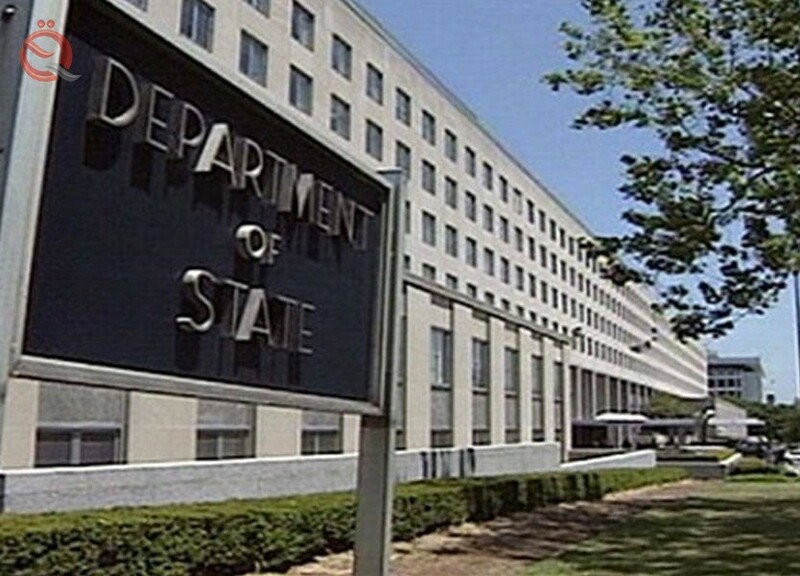 The US press reported that the government imposed sanctions on some 960 institutions and individuals working especially in Iran to support the Iranian military system. The importance of these sanctions, from Washington's point of view, is that they target a group of scientists and companies working as technicians and scientists in the fields of nuclear weapons and nuclear explosions. The United States considered that Iran maintains this intellectual wealth to work on its weapons of mass destruction programs and these sanctions target them. The sanctions also target companies operating outside Iran, especially in China and Russia. 14 individuals and 17 Iranian entities, the Office of Foreign Assets Control of the US Treasury Department (OFAC), together with the US State Department, placed them on the new sanctions list for Iran's Defense Research and Innovation Organization (SPND). According to the Office's statement, the group has provided support to Iranian military entities and individuals who have played a key role in efforts to obtain weapons of mass destruction by the Iranian regime in the past. The sanctions target the current subgroups of SPND, its supporters, front companies and associated officials. "Our maximum campaign continues to put pressure on Iran with today's sanctions on targets contained in the regime's nuclear program, including former nuclear weapons scientists," US Secretary of State Mike Pompeo said in a tweet on his Twitter account . "We will continue to relentlessly depriveIran has the ability to participate in the proliferation of weapons of mass destruction and all its outlaw activities. " 2. Mohammed Mahdi Duamey Attaran, linked to the Foundation "PUYA ELECTRONIC SAMAN NIRU"
7. Mohammed Hussein Hakin, East PAKHSH SHARGH KIMIYA "
8. 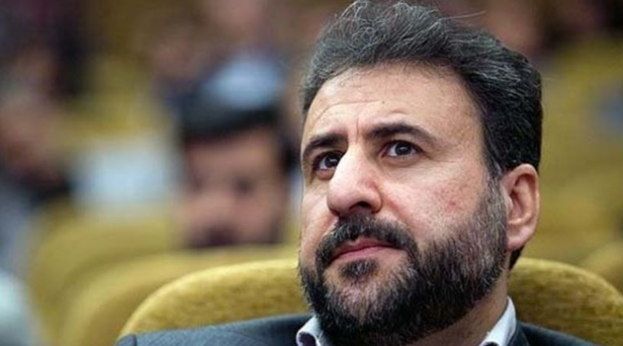 Jalal Emami unawares Hajlo, associated with the institution of " Shahid Karimi KARIMI the GROUP SHAHID "
9. Mr. smaller Hashemi Tabar, salary Foundation "organization ofresearch innovations and defense"
14. Mohsen Shafei, associated with the Foundation "Boya Electronic Saman PUYA ELECTRO SAMAN NIRU". 5. Buya Electronic Saman PUYA ELECTRO SAMAN NIRU "
also re- designed a ballistic missile launch platform for possible use as a system to produce a nuclear weapon, the statement said. Scientists have been involved in research and proliferation-sensitive experiments on behalf of Iran's SPND military organizations, on which Iran spends millions of dollars each year on a wide range of military-related projects. Observers said: The new American list breaks the bones of Iran and its controversial nuclear program and besieged it from all sides. The governor of the province of Wasit, the local, on Sunday, finalizing the opening of a second border port within the province with Iran in the coming days to reduce the momentum of the port of Zerbat, especially during religious events and in preparation for the visits million. 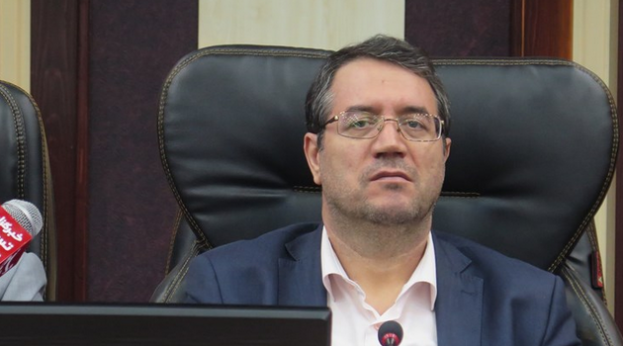 "The local administration has obtained the approval of the General Secretariat of the Council of Ministers and the Border Crossings Authority to develop a second port with Iran in the Shehabi area," said Majid al-Atabi, media director of Wasit province. , Which will be supportive and lend to the port of Zurbatya border (90 km east of Kut). " Al-Atabi added that "the province has completed the finishing touches to the opening of the port after the road and the link between the port of Shihabi and the Sheikh Saad area of ​​40 kilometers round and round and became ready for the traffic of vehicles and buses going and coming to the new port." "It is hoped to open in the coming days and will be ready for the reception of 2,000 people a day and about two million people during religious events and visits million, and is equipped with reception halls and cabins marking entry features and other supplies." The US Treasury Department on Tuesday issued new sanctions against Iran targeting 25 individuals and companies based in Iran, Turkey and the United Arab Emirates. 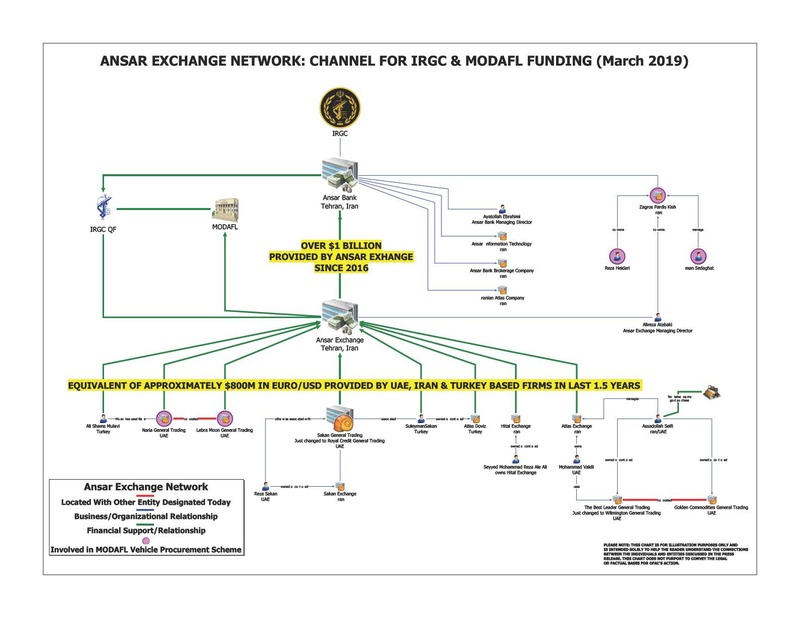 According to Reuters, "the target institutions include banks and other financial institutions, including the Bank of Ansar and Atlas Exchange and Atlas of Iran." US President Donald Trump, the withdrawal of his country from the nuclear agreement with Iran, in May 2018, and re-imposition of economic sanctions on Tehran , As of last August, and threatened the countries that deal with the commercial economic punishment also.